MaxSimil Fish Oil is a proprietary composition containing monoglyceride fish oils with no additional ingredients, carriers or excipients. Every batch of fish oil is IFOS five-star certified to ensure the world’s highest standards for purity, potency, and freshness. 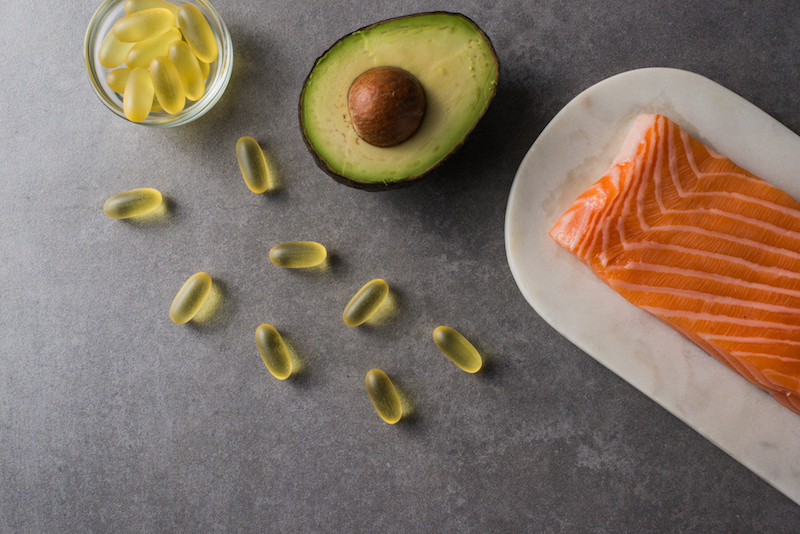 The fish oil is non-GMO, certified sustainable from Scandinavia, and antibiotic-free. It is also eco-friendly because the greater absorption of EPA and DHA ultimately means that fewer grams of fish oil need to be harvested. MaxSimil fish oils have 300% greater absorption compared to other leading fish oils. The MaxSimil PLATform / Patented Lipid Absorption Enhancement Technology is a delivery system that enhances the delivery and absorption of EPA and DHA. Olive Leaf Extract has powerful medicinal properties that include immune system support, antioxidant and anti-inflammatory properties. Olive leaf benefits include improving skin health, cardiovascular health and preventing high blood pressure, helping with diabetes symptoms by helping to reduce blood glucose levels in the body, improving brain function, and helping to reduce inflammation from arthritis. Olive Leaf Extract contains a compound called oleuropein that has been researched since the 1900’s for its antibacterial, antiviral and antifungal properties. Pure Omega 3x is a nutritional supplement intended to provide support for blood glucose, brain activity, cardiovascular and immune systems. Pure Omega 3x is for individuals with digestive, pancreatic or gallbladder challenges. Pure Omega 3x is the optimal combination for ongoing omega support. Pure Omega 3x is intended to take 1 softgel daily or as directed by your healthcare practitioners. Do not exceed recommended dose.